There really are no medications available that are specifically manufactured to increase the supply of breast milk, but there are prescription drugs designed for other conditions that are used for that purpose. These medications cause an increase in the level of prolactin, the hormone responsible for milk production, so they have the side effect of making breast milk. Under the direct supervision and monitoring of a doctor, these medications have been prescribed to help create, re-establish or increase the supply of breast milk for nursing mothers. If you have tried to increase your milk supply naturally and with herbal treatments, but have had little or no success, talk to your doctor to see if a prescription medication is right for you. All medications have side effects and can be dangerous, so never start any medication without first discussing it with your healthcare provider, especially if you are pregnant or breastfeeding. 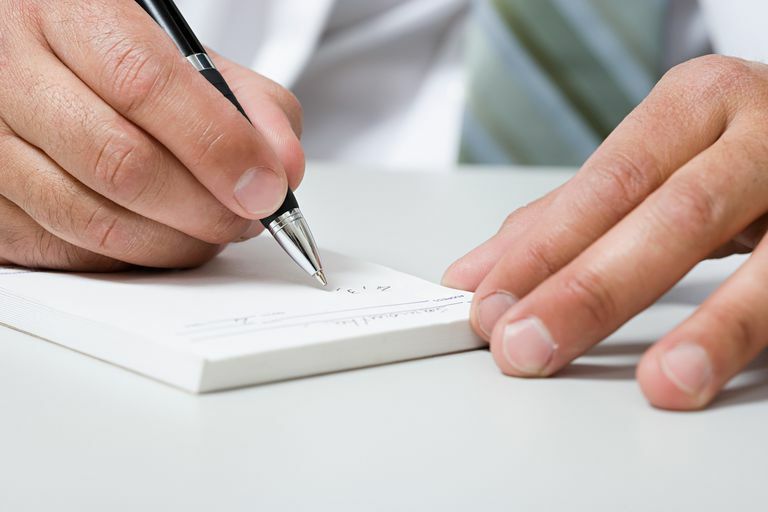 If you and your doctor decide that you would benefit from a prescription, be sure to take it exactly as ordered, and follow up with your doctor regularly. It's also important to understand that medication on its own is not enough to establish or increase your milk supply. Frequent nursing and/or pumping to stimulate the breasts and remove the milk is also necessary. The two most common medications used as galactagogues are metoclopramide (Reglan) and domperidone (Motilium). Metoclopramide is a medication used to treat stomach issues such as reflux, nausea and vomiting. It is the most commonly used medication for lactation induction and increasing a low supply of breast milk in the United States. Results can usually be seen in a few days, and will typically last as long as the medication is continued. The supply often dwindles again once the medication is no longer being taken. Metoclopramide does travel to the baby through the breast milk, but it hasn't been shown to cause any problems in breastfed infants. The common side effects of metoclopramide are sleepiness, headache, or restlessness. Less common, but more severe side effects have also been reported with the use of this medication. The U.S. Food and Drug Administration (FDA) warns that depression and tardive dyskinesia, a condition that causes tics, tremors or uncontrollable movements of the face and body, could result from taking metoclopramide in high doses over an extended period of time. In some cases, the involuntary movements do not resolve even after the medication is stopped. Metoclopramide should not be taken for longer than 12 weeks, and should not be used by anyone who suffers from depression, a seizure disorder, asthma or high blood pressure. Domperidone, like metoclopramide, is also used to treat gastric problems. It's not available in the United States, but is commonly used in Canada and other countries to stimulate the production of breast milk. Outside of the U.S., domperidone is believed to be safer than metoclopramide, with fewer side effects for nursing mothers. It's also considered to be safe to take long-term. Side effects such as headache, stomach cramps and dry mouth can occur, but tend to be uncommon. In the United States, the FDA has not approved domperidone for any condition. It warns against the use of this drug for anyone, especially breastfeeding women. Reports of serious heart problems and sudden death have been associated with the intravenous (IV) use of this medication, so the FDA has deemed it unsafe. Therefore, in the US, it is illegal to import, sell or compound domperidone except for specific patients with severe stomach issues, and only after a doctor submits a special request to the FDA. Tranquilizers such as chlorpromazine (Thorazine) and haloperidol (Haldol), and the blood pressure medication methyldopa (Aldomet) are some of the other prescriptions that can increase the level of prolactin in the body and potentially increase the supply of breast milk. However, side effects from these drugs can be very dangerous. The risks these medications pose to nursing mothers outweigh the benefits, so they are not used to enhance the milk supply.